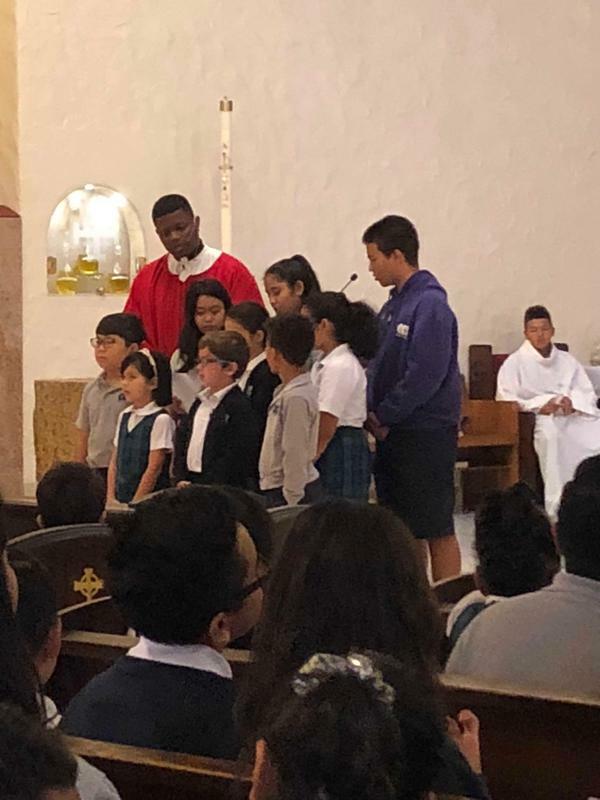 The Class of 2019 Hosts the First Mass of the Year with Kinder! On Friday, September 14th with Fr. 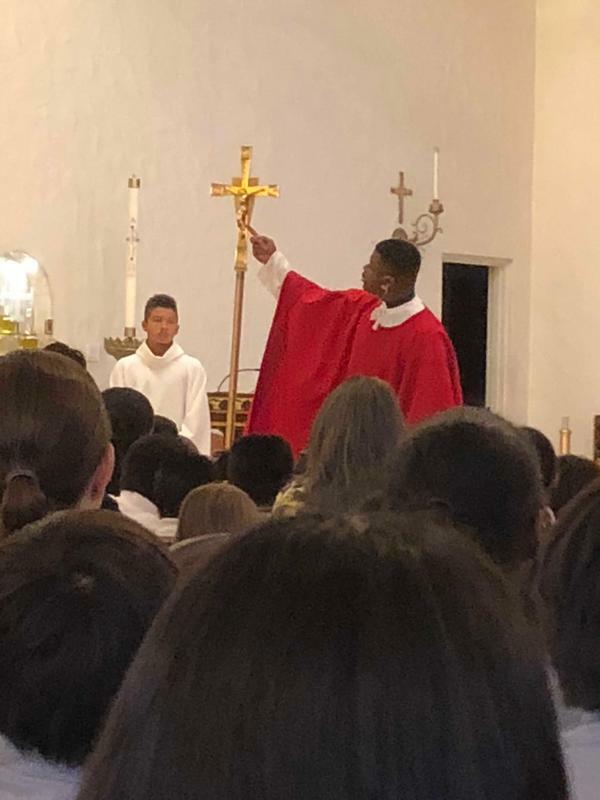 Uche presiding, K-8 celebrated the Mass of the Exaltation of the Holy Cross. We've started a new tradition this year. The class hosting the Mass joins in the Offertory by bringing items for the needy. Mr. Eddie Hillie led the singing and accompanied on piano. Once again we were reminded of exactly why God gave us ears. God bless CCS!